When I was young I remember going to my Grandparents house next door for dinner. I know that my Grandma was a good cook but I don’t remember most of the things that she made. It’s the fun meals that stick in my mind. When we visited them in Florida we got to have “strawberry soup” for dinner sometimes. Grandpa loved that one – bread torn up and topped with fresh strawberries, sprinkled with sugar. We’d pour milk into the bowl and it was like a weird sort of cereal. I’m guessing it started among the generation that grew up during the Great Depression. However, my favorite meal was when Grandma would make Homemade Blueberry Peach Cobbler for dinner and we got to eat as much as we wanted. Christmas is hurtling toward us and the children are starting to hyperventilate in their excitement. Dinners and breakfasts are being planned and last minute gifts bought and wrapped. 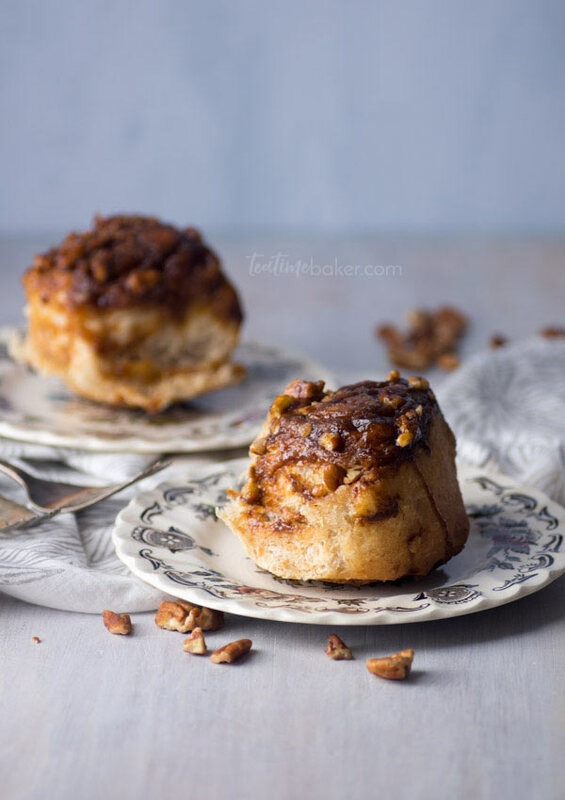 To that end I’m sharing my take on a delicious and crowd-pleasing Christmas breakfast. 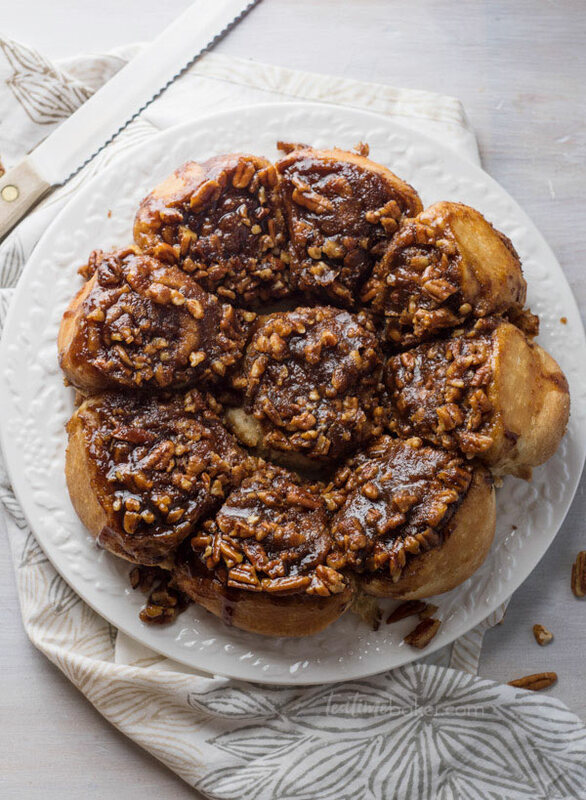 Ok, I’ll be honest, we’re all going to want to eat Sticky Pecan Cinnamon Rolls in the middle of winter when the doldrums set in as well. You can shorten this method a little if you feel the need. I tried two different ways to make these rolls and both ended up pretty similar. The first batch I made I rolled out the rolls right after I finished kneading the dough. No first rise, just straight to the pan. I did let them rise for 20-30 minutes in the pan before baking but they didn’t change much until they hit the oven. I know that October is generally the season of pumpkin everything, and normally I embrace that whole heartedly. For some reason I’m just not feeling it right now. 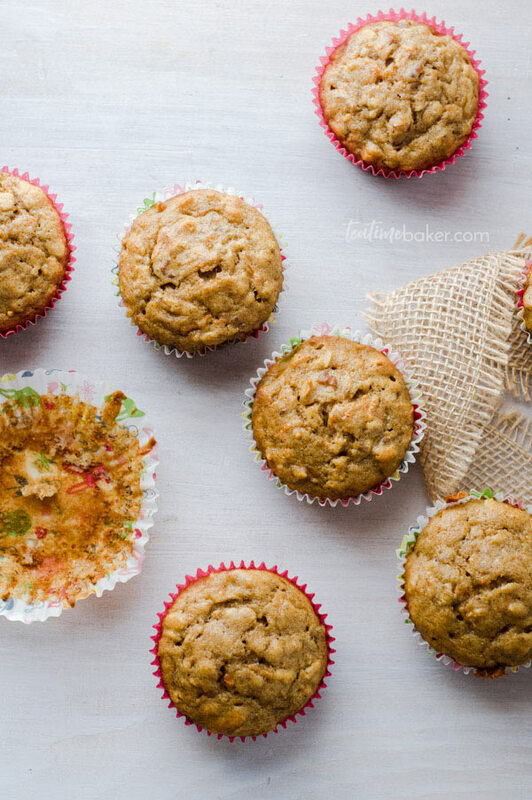 Maybe it’s because there are so many pumpkin recipes already in circulation. Or perhaps it’s because the weather feels much more like September than October here in Ohio. Either way, when I was musing over what I wanted to bake and share this week apples are where I ended up. 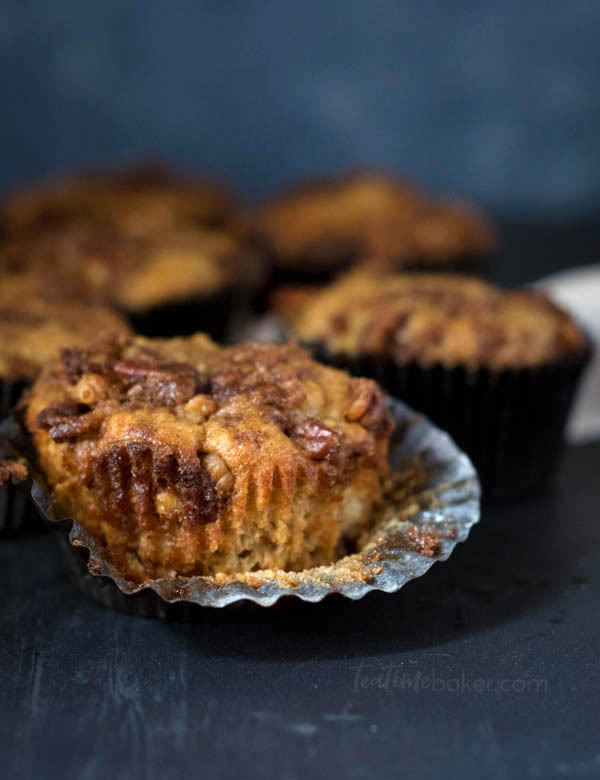 Specifically Apple Spice Muffins with Pecan Streusel Topping. I’m not sorry! 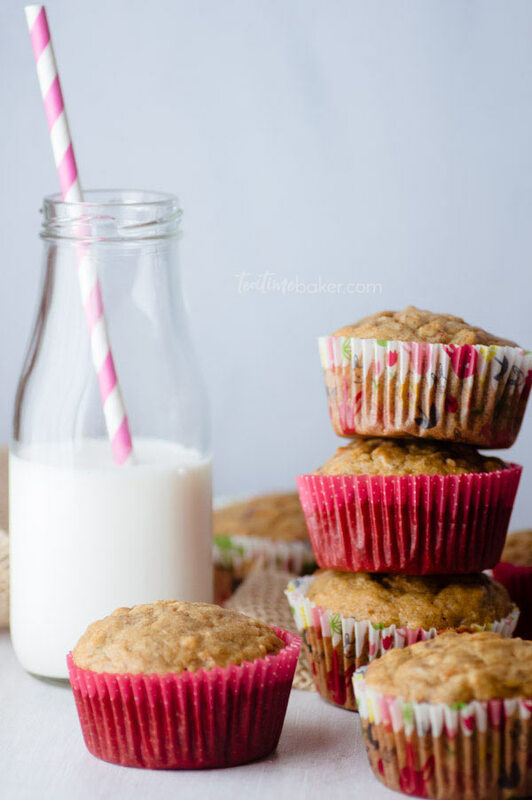 I promise to deliver some delicious pumpkin recipes in time for Thanksgiving feasts, but for now let’s make muffins! 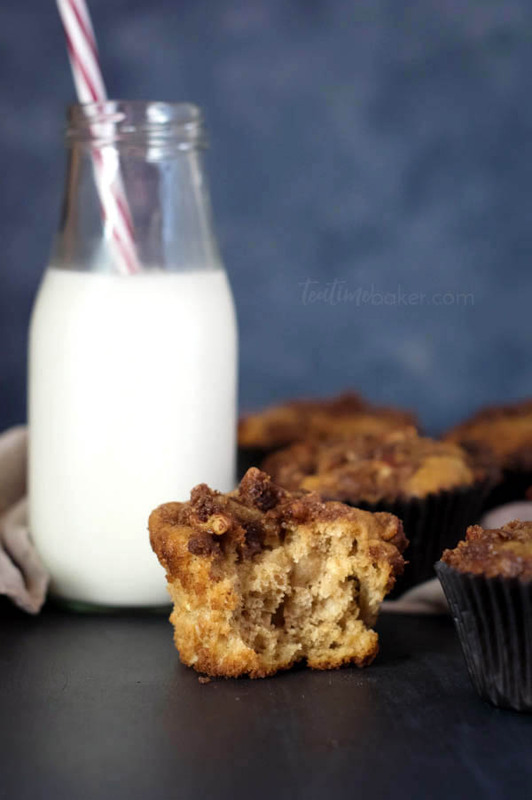 Soft and flavorful inside with a sweet crunchy topping it’s the perfect fall breakfast muffin. I used a cup and a half of chopped apples but you could easily bump it up to two cups. Shredded apples will also work and save you the work of peeling them. If I’m being honest, I’m tired this week and I love having something already done for breakfast. Fry or boil a couple eggs and it’s a healthy and well rounded meal!